On a cold winter day, nothing says comfort like relaxing as a family and enjoying a delicious peppermint hot chocolate. This is a very simple recipe and you can make it in a healthy way. So skip those coffee shops because now you can make it at home. While you can add coconut whip topping to make it look all fancy, we decided to keep things really simple with this one. We make this one in our blender and by doing it this way, it creates an “automatic” foam that gives it a fun look. The ratios are simple and can easily be doubled or tripled. 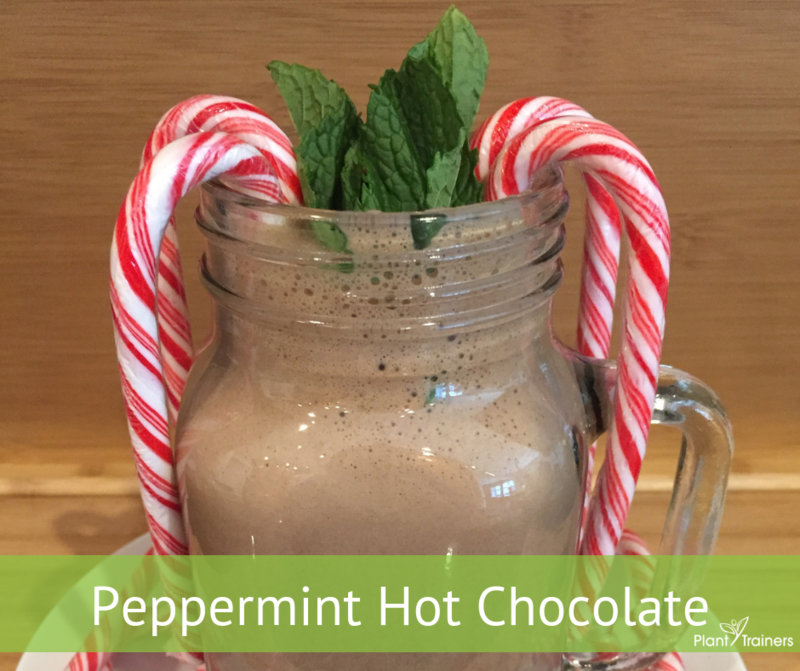 No matter what, you’ll be sure to enjoy this scrumptious peppermint hot chocolate. Use the candy cane as a stir stick – it’ll add a bit more peppermint flavouring, some colour and boosts the fun meter!